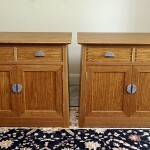 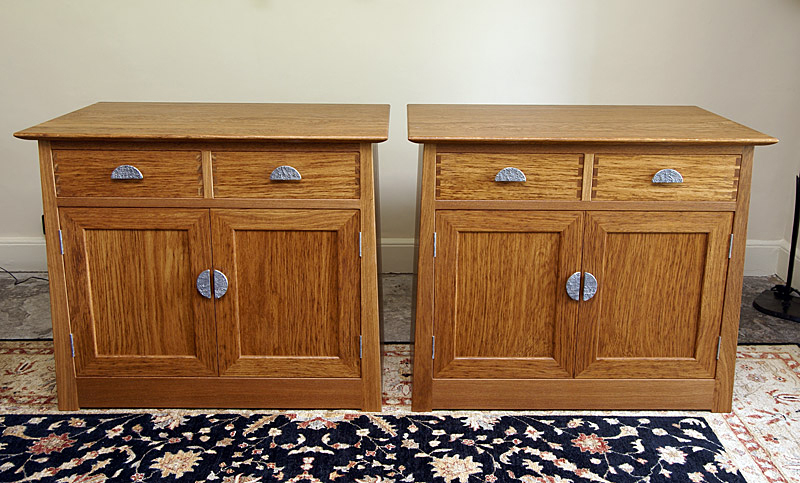 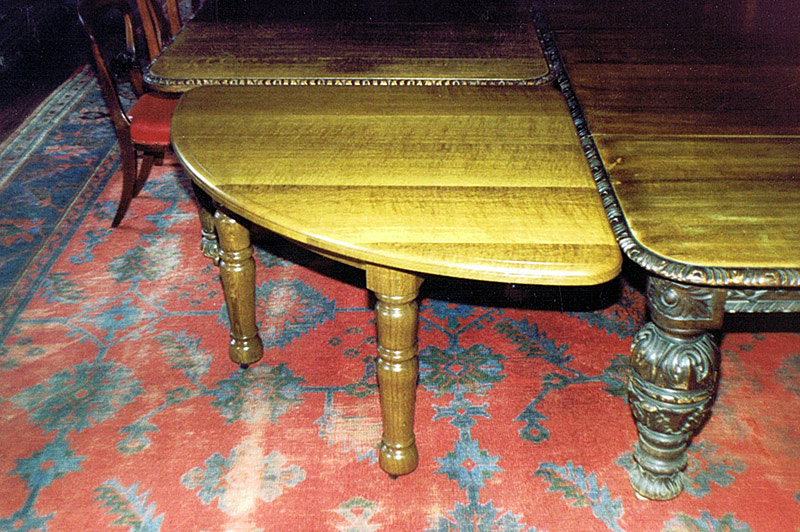 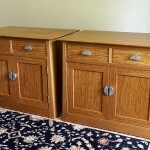 A pair of cabinets in English Brown Oak, inspired by two Chinese cabinets owned by the client. 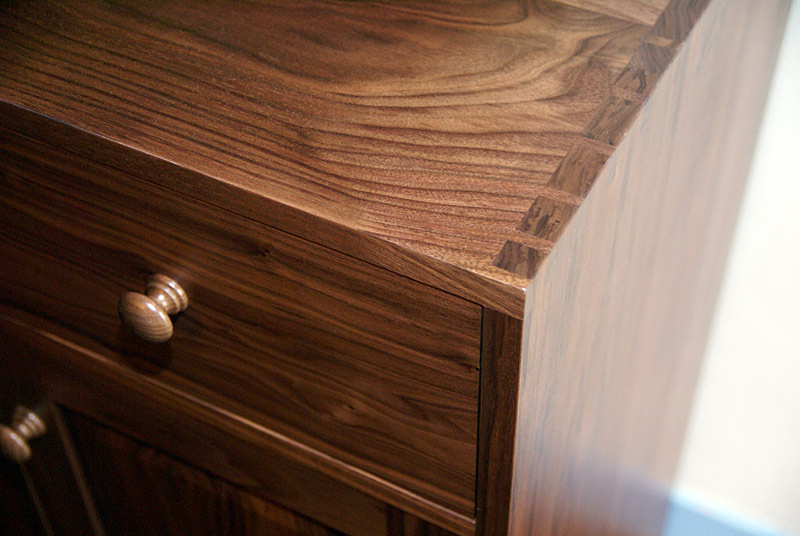 Drawers with exposed dovetails and Cedar of Lebanon bottoms. 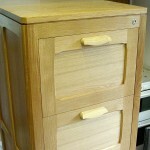 The stainless steel handles are handmade by Ged Kennett. 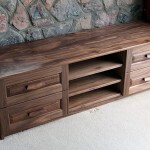 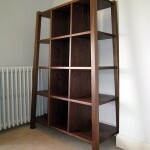 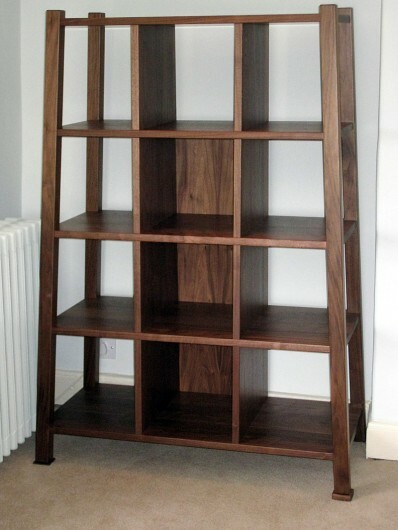 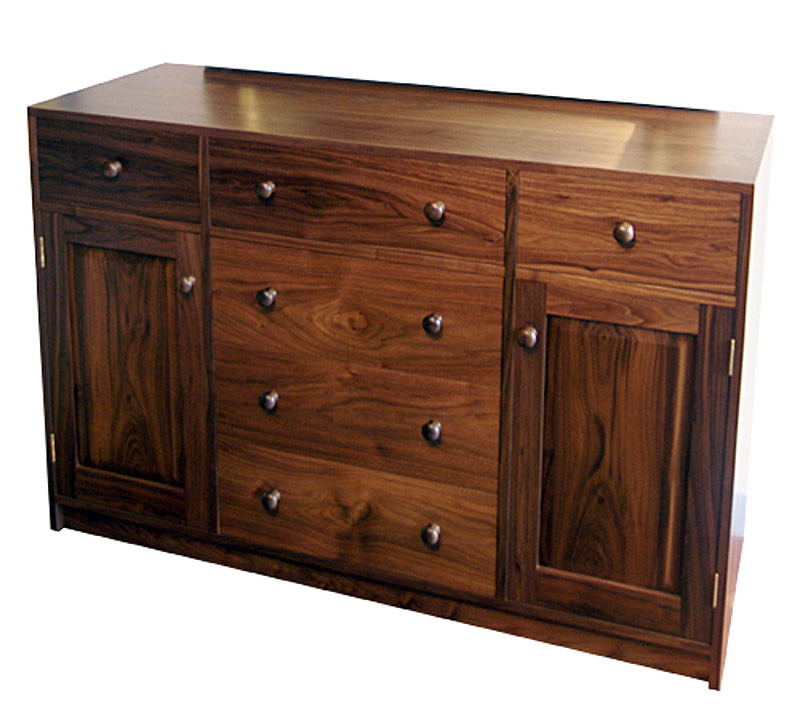 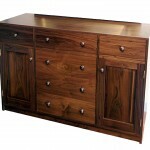 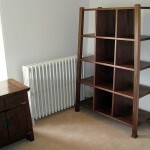 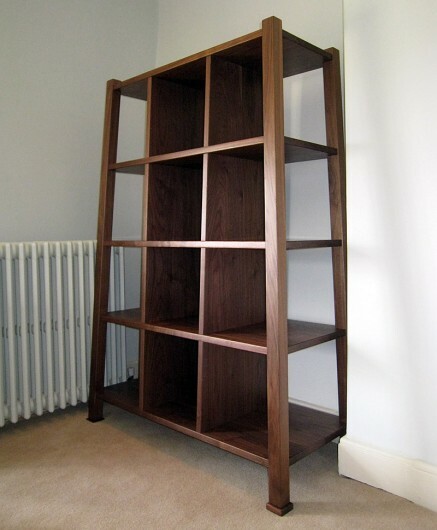 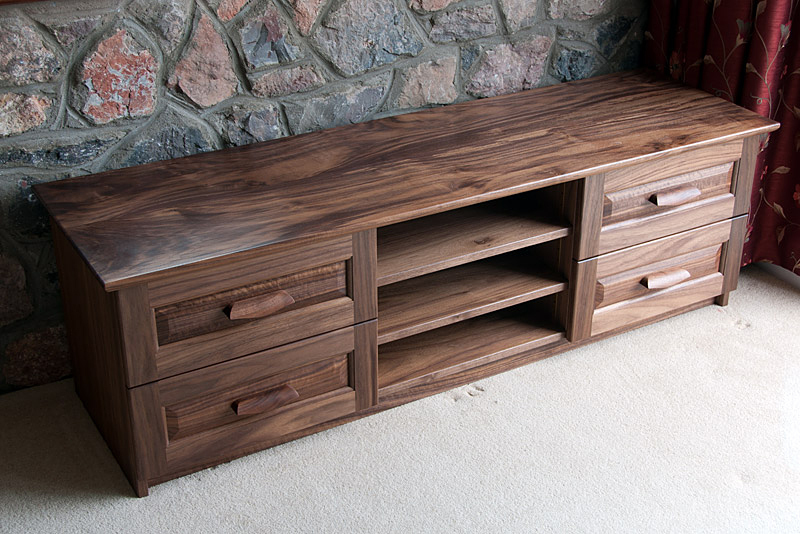 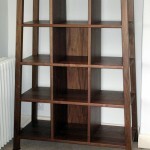 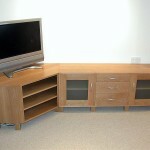 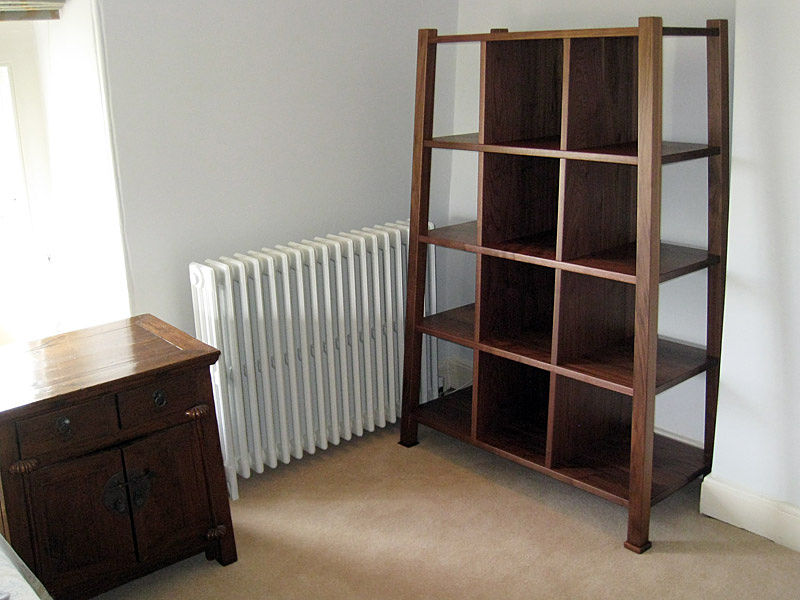 This open storage unit was made for a bedroom and is in American Black Walnut. 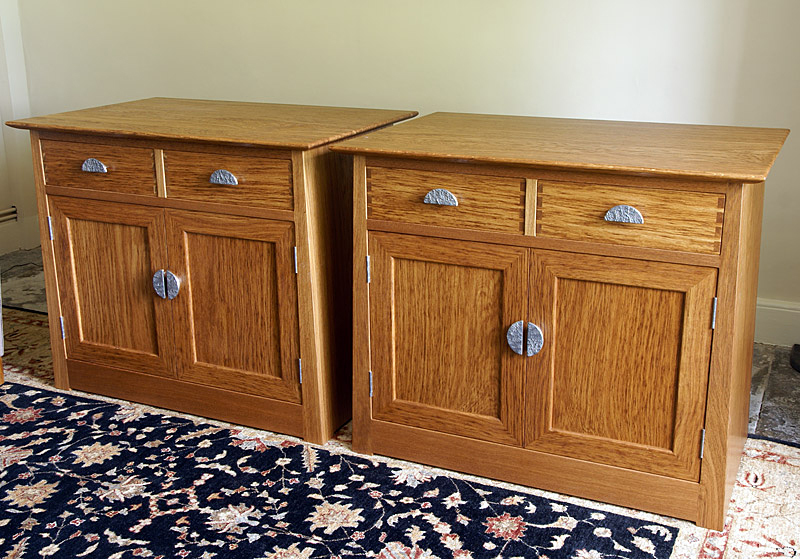 The sloping sides compliment a pair of Chinese beside cabinets in the same room. 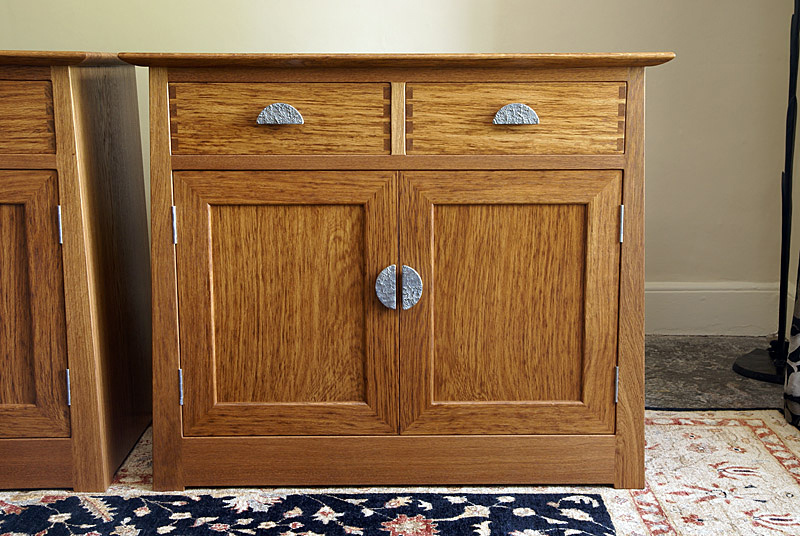 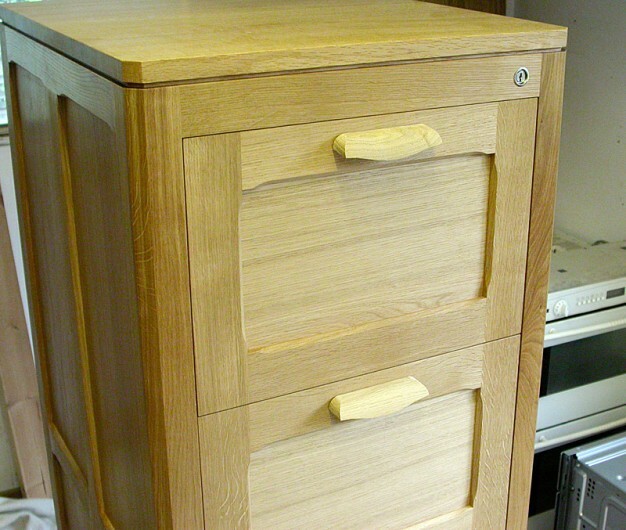 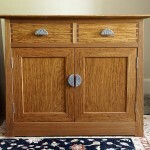 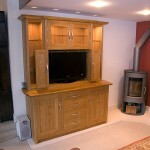 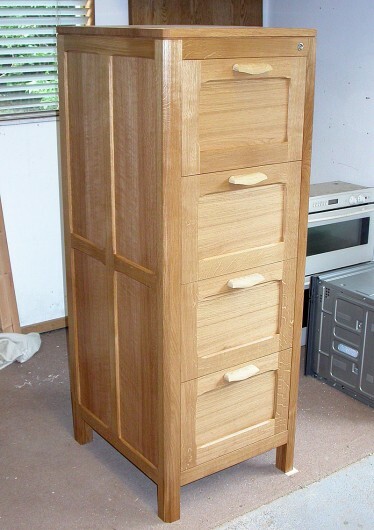 Solid Oak filing cabinet in an Arts and Crafts style. 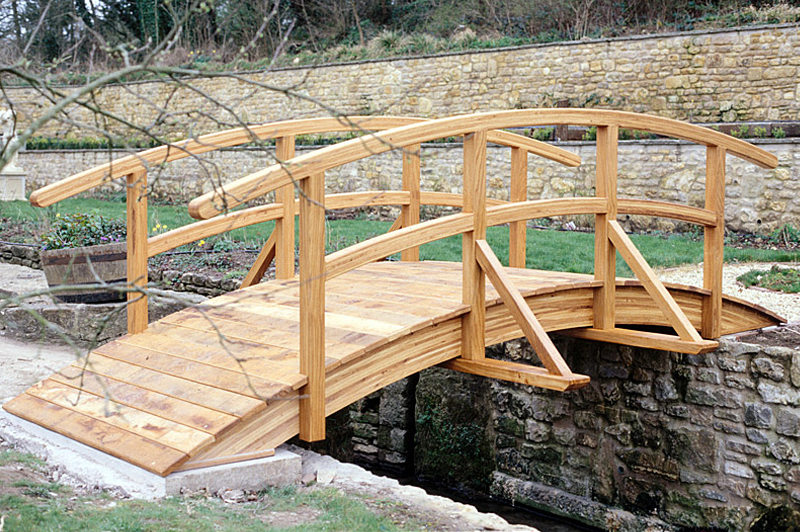 Well we’d never made a bridge before! 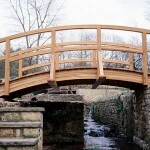 This was an Oak bridge in the garden of a local Mill House. 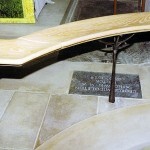 The design was inspired by Monet’s garden. 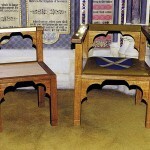 An unusual undertaking for us! 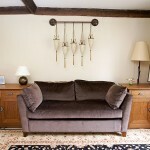 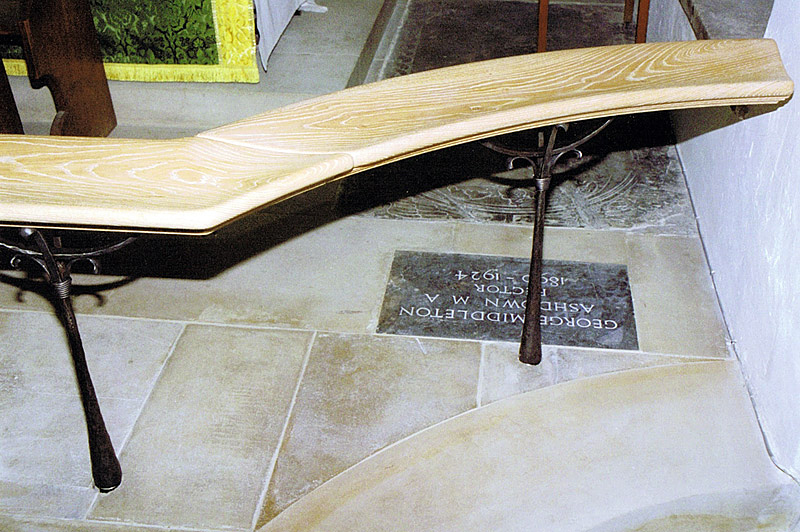 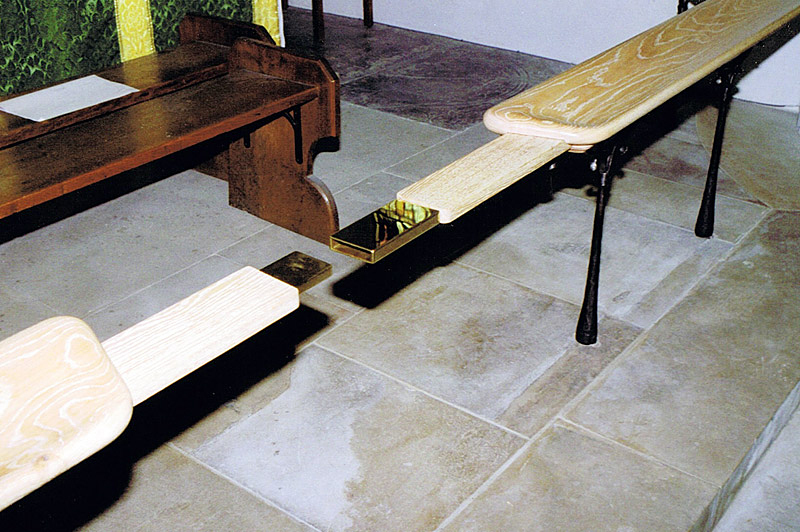 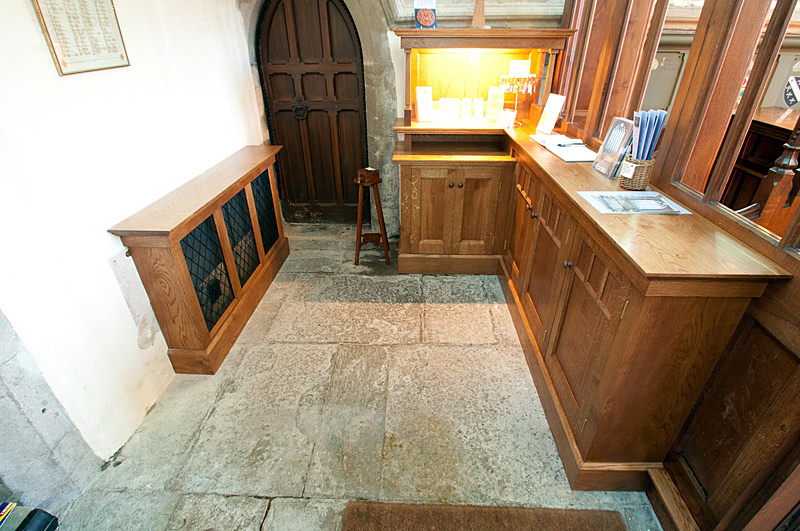 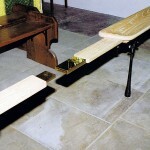 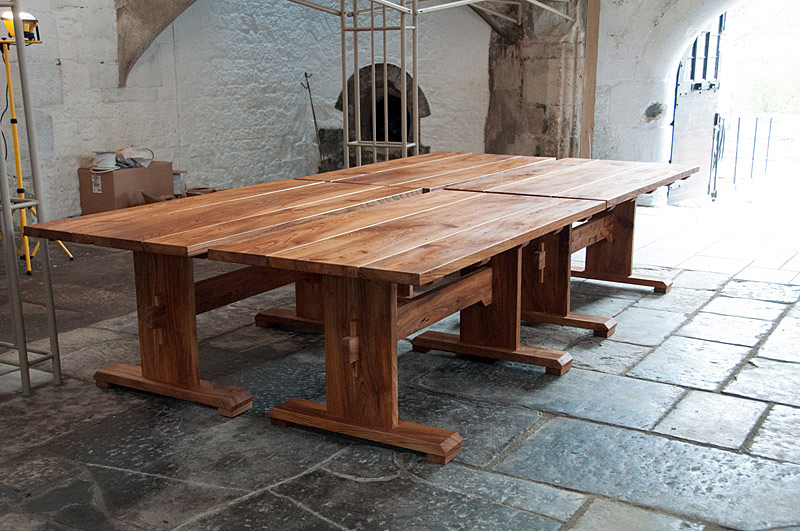 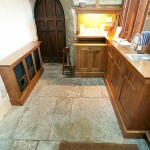 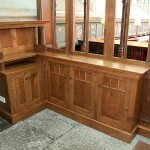 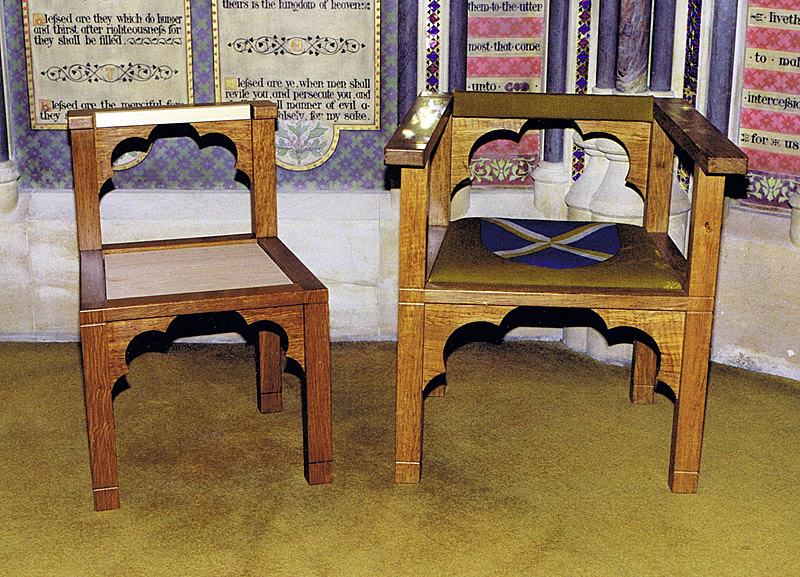 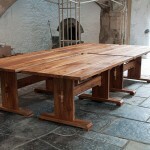 Church furniture designed by architect Alan Thomas and made in our workshop. 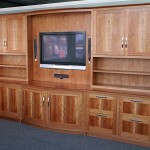 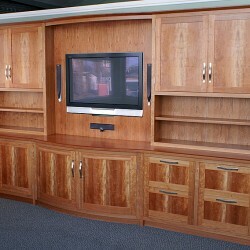 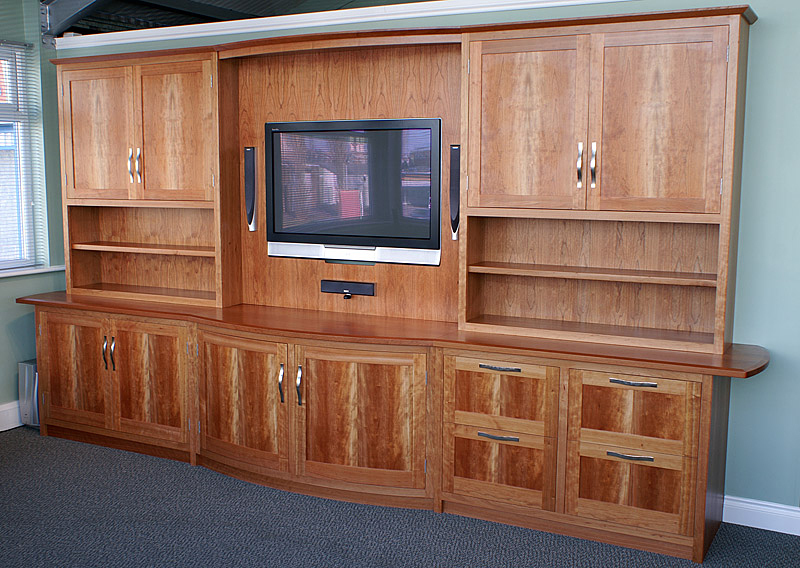 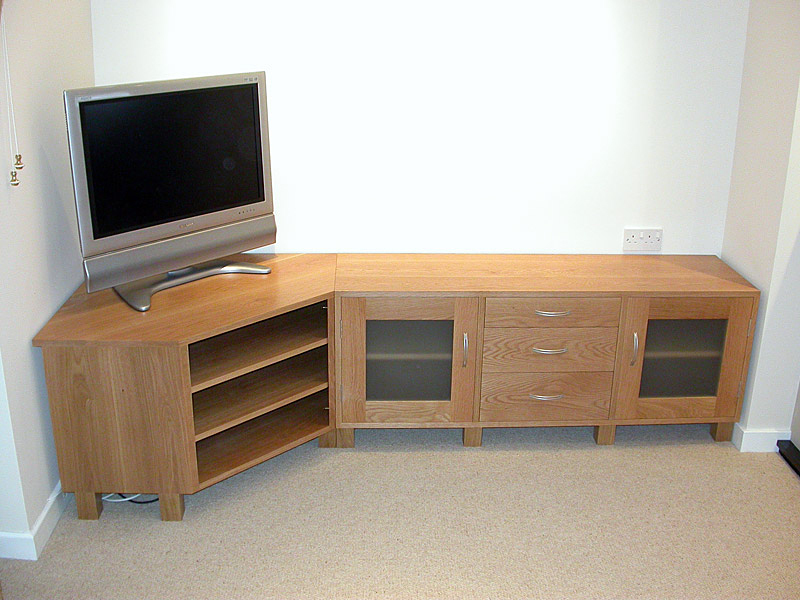 Credenza in American Cherry with curved doors and integrated TV screen. 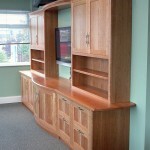 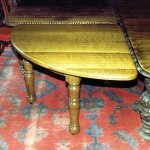 Made for an executive suite, which also included a desk, conference table and occasional table. 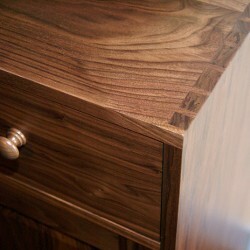 Chest of drawers in American Black Walnut. 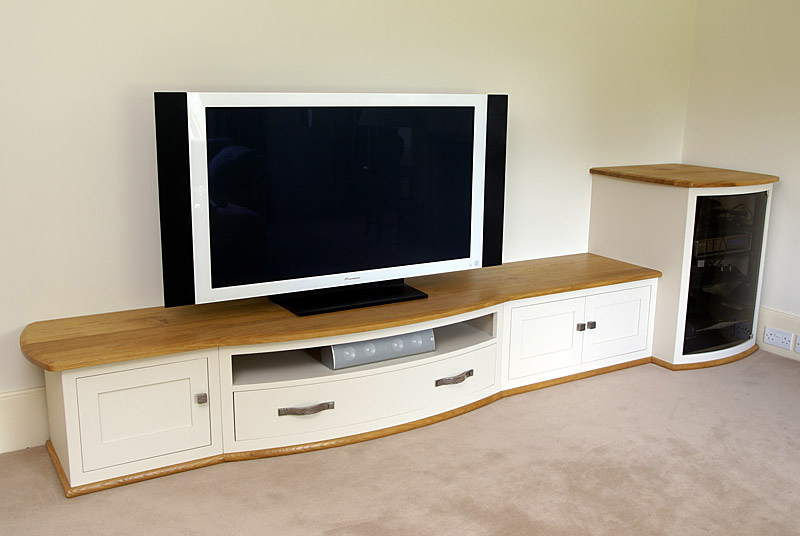 The traditional style of the exterior betrays it’s modern internal fittings, which feature fully extending soft-closing drawer runners and internal pull-out trays. 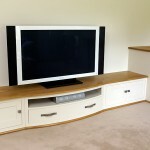 These features were especially requested by the client for ease of use. 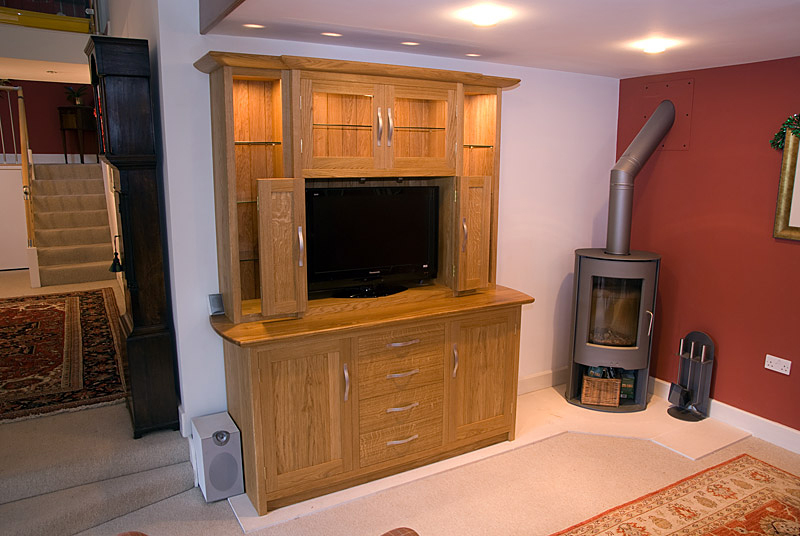 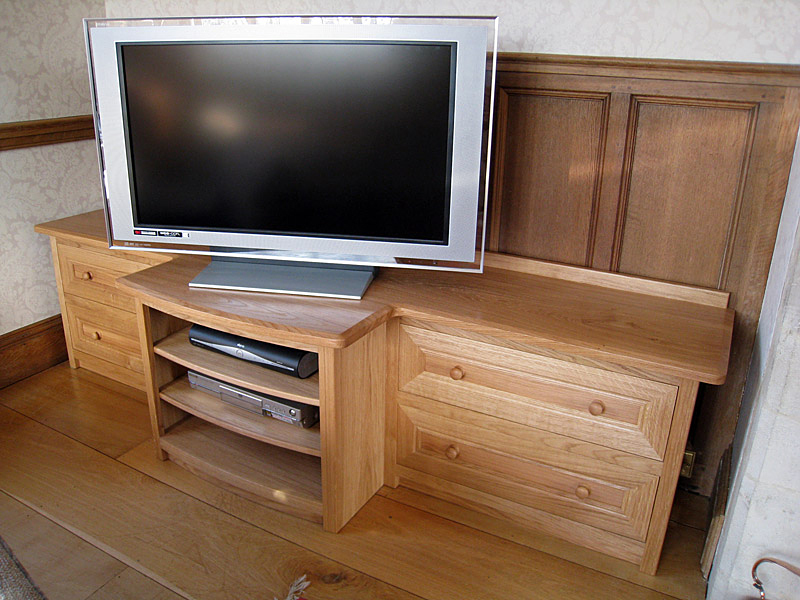 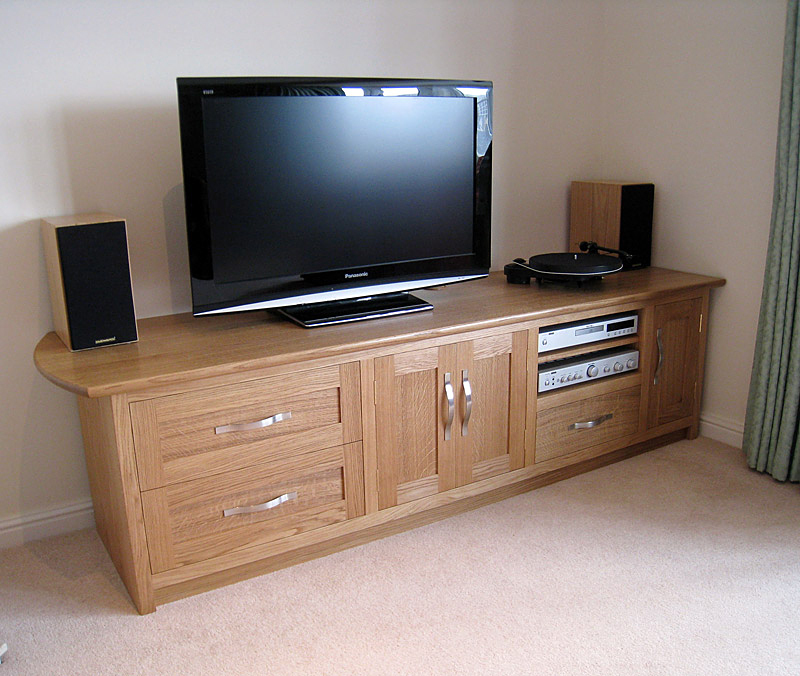 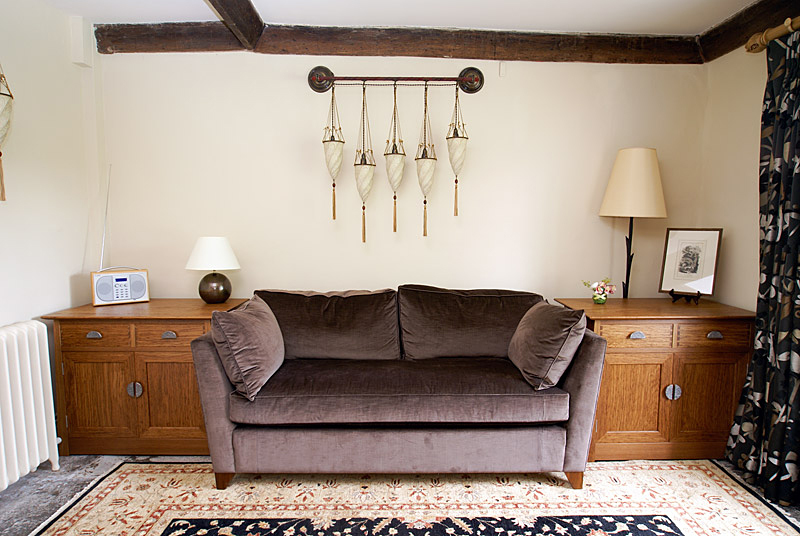 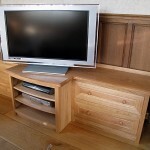 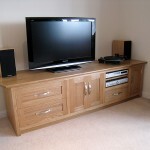 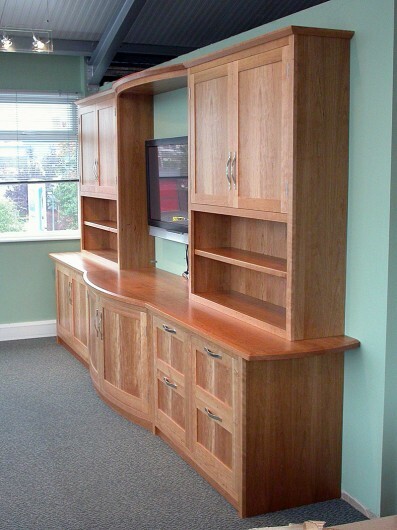 We have been commissioned to design and make many individual hand-crafted pieces of furniture over the years, including bespoke sideboards and storage units, TV cabinets and corner cupboards, a credenza and a folding screen. 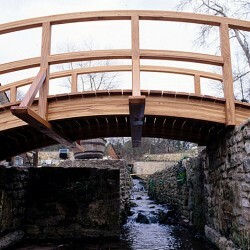 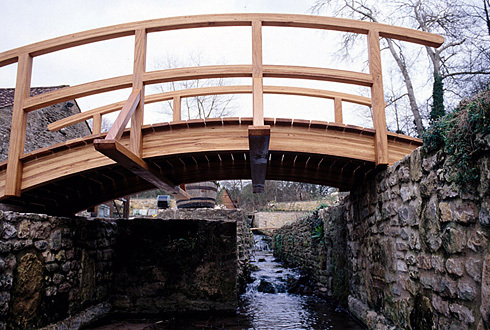 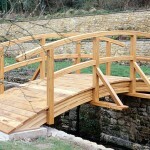 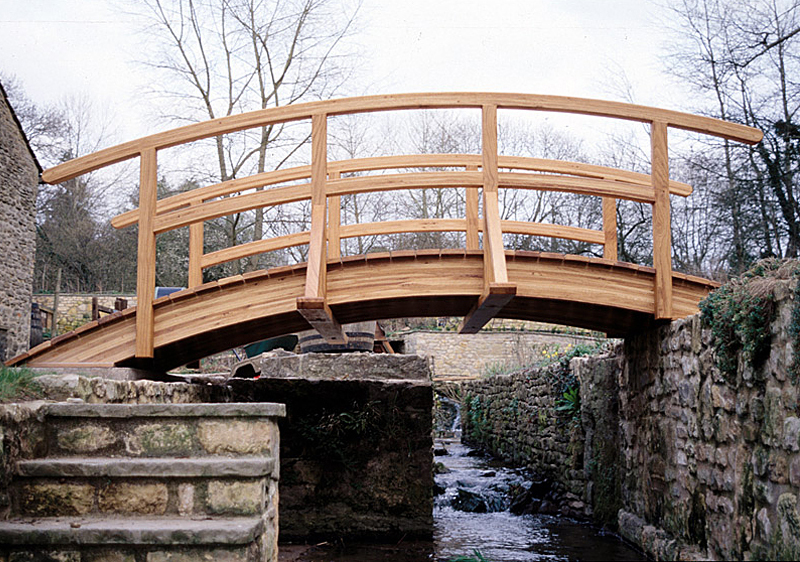 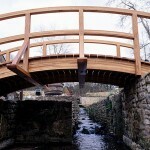 We have also built a hardwood bridge for a landscaped garden. 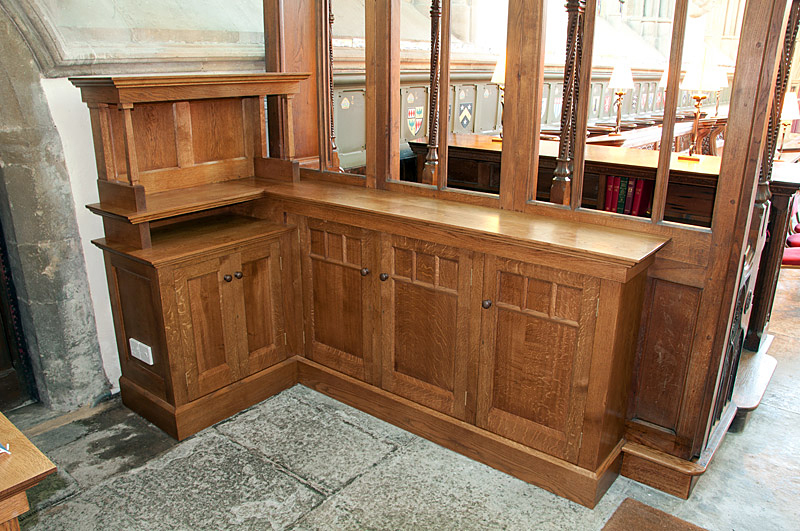 We can create a design to suit your needs – a commemorative lectern, a bespoke chest of drawers or a special cabinet for a favorite room. 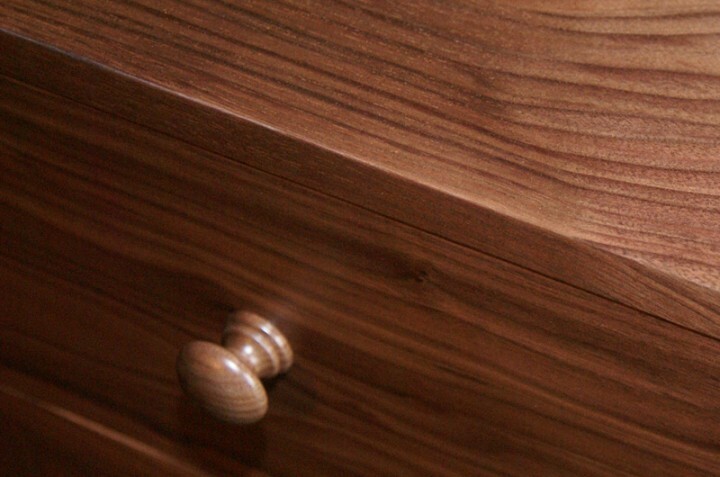 We listen carefully to each client’s ideas and offer advice, often making preliminary freehand sketches at the initial meeting. 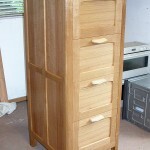 Measured drawings are presented for consideration and clients are welcome to visit the workshop to see work in progress.